My first question about the new Thomas Harris novel, CARI MORA is... Is this big news? My immediate reaction was to be only mildly excited. Despite the fact that over the last 10 years, Google has received the following searching requests from me: 'New Thomas Harris 2012,' New Thomas Harris 2016, etc. CARI MORA marks Mr. Harris's first book in 13 years. I should be pumping my fist. It was only when I read the brief synopsis did my interest tick up because I was thankful to read Mr. Harris had left his singular creation behind, at least for this book. I think the easy answer is yes, this is undoubtedly big news. The reason why is obvious. THE SILENCE OF THE LAMBS is the most important Crime Thriller release of the last 30 years and I don't think there is an argument to be made against it. There may be better-written books, but no other book has the impact that LAMBS continues to have to this day. I think what complicates this question is the legacy that the book left behind for the author, Thomas Harris. It is not a controversial opinion to say that HANNIBAL was a letdown. Mr. Harris tried to move the Lector series forward and disappointed. Of course, it is a tough ladder to climb when your previous work redefines a genre. The follow-up, HANNIBAL RISING, went back to Lector's origins. [Editor's Note: I did not read this because...] It was generally considered a bomb. Now, perhaps, not reading a book should exclude me from judging its content. This would ignore the last 20 years of Internet 'comment' culture of having an informed opinion and who am I to buck that history? What does that legacy count for? Should it count for nothing? I tend to think RED DRAGON is of exceptional quality, but in truth, it is the movie, MANHUNTER, that I adore. The book I read once, now decades ago. HANNIBAL suffers in comparison, but maybe all that book could ever be is not SILENCE OF THE LAMBS. Maybe that gives HANNIBAL a pass and all we really have to deal with is the probably still terrible HANNIBAL RISING. But the same question could be asked there too? Is HANNIBAL RISING just not SILENCE OF THE LAMBS? Does comparison doom both books when the book they are held up against is a monolith? Are those books no good or bad in comparison? Can we ever actually know that? Am I overthink this? Probably, because HANNIBAL was a bummer and everything I read about HANNIBAL RISING only fed into what I felt were the major problems of HANNIBAL. Time is a not a friend to Thomas Harris. He is a slow writer who exhaustively researches before taking pen to paper. I feel like time has done more to diminish Mr. Harris's star. And that is unfair. But there is also 30 years and two books, one a disappointment and the other just bad. It may be easier given his last two works to see LAMBS as the outlier. A book of unquestioning quality that is actually an exception and not the rule for Mr. Harris. I think that is a mistake. 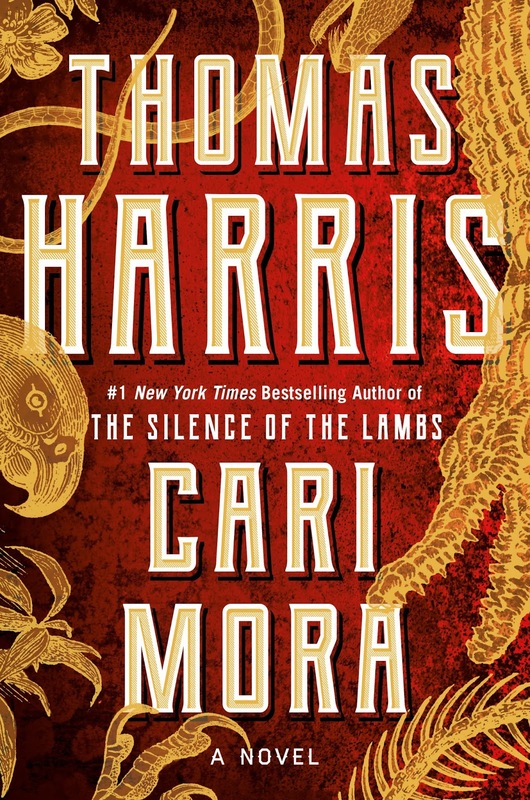 It cost nothing to be hopeful that CARI MORA will be an exceptional work by a proven master rather than have the dispiriting take that it is impossible to live up to the unicorn that SILENCE OF THE LAMBS might as well be. Authors so rarely reach a peak like Mr. Harris did with SILENCE OF THE LAMBS, and as a reader, I don't know if he should be penalized for never reaching that peak again. Looking forward to This storm. by J. Ellroy.